I love almond phirni. 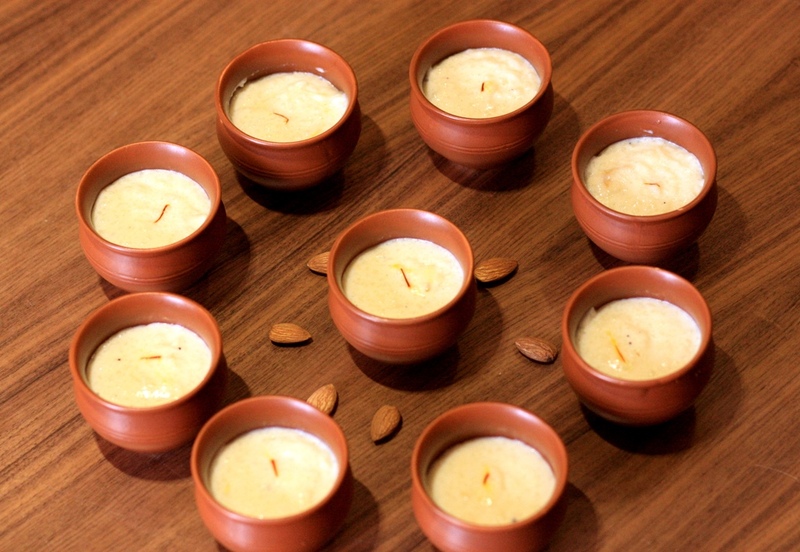 A festive rice and milk Indian dessert infused with delicate flavours of almond and saffron. Until recently, it was a restaurant dessert for me. At home kheer and halwa were more regular sweet dishes. But last month my surprised me with delicious homemade phirni. Lately she has been a big inspiration for me in the kitchen. 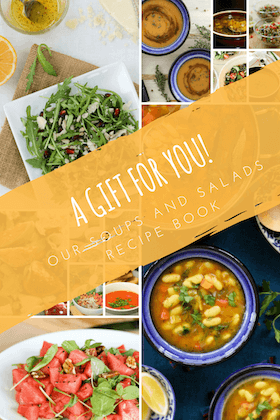 She was the kind who didn’t like cooking at all and in the last couple of months she has experimented and delighted a lot of people with her cooking… I tell her it’s the genes, when both I and mummy like cooking, your’s just had to be discovered. Tonight we have a small farewell dinner for a friend and as a special dessert, I made phirni. I had brought back these little earthen dessert pots which were perfect to set the puddings in individual portions. Phirni is to best when served chilled so prepare it atlas 5-6 hours before serving. I prepared it in the morning while sipping on my morning cuppa chai. It was so easy. Drain the rice and blend it to a coarse paste using a little water using an electric hand blender. Once the milk comes to a boil; add about a cup of it to the rice batter. Mix well and then add the rice mix to the remaining milk in the pot. This way there are no lumps formed. In case you still get lumps; you can mix just run a hand blender in the entire milk just enough that the lumps are broken. Simmer and cook for about 10 mins until the milk thickens. Meanwhile peel the soaked almond and cut into slivers. Add sugar and cardamom powder. Stir continuously until the sugar dissolves. Add in slivered almonds and saffron water. Mix well. Remove from heat and pour into earthen pots. Garnish each pot with just a strand of saffron. You can garnish with more chopped almonds but I like just a strand of saffron; makes them look like small diyas or lamps. Set aside to cook. Once cool put them in refrigerator. Serve chilled. Daksha : thanks for sharing your delicious recipe!! delicious recipe . thanks again! !